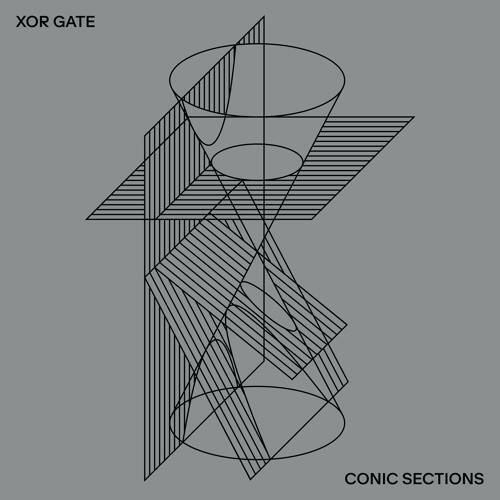 A few more details of Heinrich Mueller's album under the name XOR Gate have been leaking out. It will be single vinyl, the release date is 30th March and you can already pre-order it on a number of sites, including Juno, Deejay and Norman Records. There is a new cover image as well (maybe the previous one will be used on the back?) Track list and what might be part of Tresor's press blurb below. 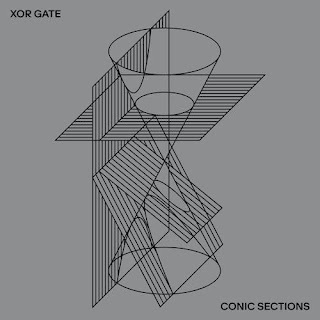 'XOR Gate is the brainchild of Heinrich Mueller, one half of Drexciya and Dopplereffekt. A conic section is a shape created as a plane intersects a cone. This can result in different figures such as a circle, an ellipse, a parabola or a hyperbola. Conic Sections is here composed of eight themes, or shapes, over which waveform and synthesis entirely merge with human emotions. The line is blurred. These eight themes are intertwined, forming one long musical string. The line is forever blurred. In case you missed it, Victoria Lukas' new mix is now on Soundcloud, which includes exclusive XOR Gate previews.To my knowledge, this Clone shop link is currently the only place you can hear samples of all the tracks of the album. The Wire is also now streaming the entire album (30 mins) at this link. You can now hear the full length collaborative track, '00044.00.1.5', by The Exaltics and Rudolf Klorzeiger on this great official video. Included on Das Heise Experiment 2 on Solar One Music, it's available for pre-order now from this link and will be released in June. Dopplereffekt will be playing live at the Glitch Festival in Malta 14th -16th August. Nina Kraviz (former member of the mysterious Noether Symmetry and vocalist on a track by NRSB-11), Jeff Mills, Objekt and many more are also on the bill. Dopplereffekt are also on the bill for Strange Sounds From Beyond festival in Amsterdam, Holland. They play on Sat 23rd June. An Arpanet live show takes place in Barcelona, Spain on 31st of March. Arpanet will also be playing live at Intonal, an experimental music festival in Malmo, Sweden (25th-30th April). They will also play at Heart of Noise festival at Innsbruck, Austria. They are there on the 30th May but the festival runs from May 30th -3rd June and has Juan Atkins, Alec Empire, Tim Hecker, Errorsmith and many more on the bill. This is a great piece about Ron Murphy (1948-2008) of National Sound Corporation, who cut all of the Drexciya records on Underground Resistance and many many more. A true legend of Detroit Techno and from even before that. There is also a video where he brings you through the steps to cut and make a record.